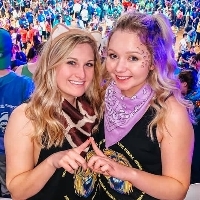 Phi Sigma Sigma is a Greek organization dedicated to philanthropy and service. 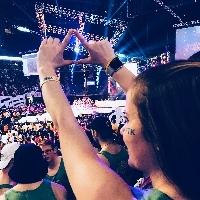 We are proud to support THON and thank you for your support as well. This year we will work tirelessly to fundraise for the children of Penn State Children's Hospital who battle cancer. Our year-long efforts culminate in a 46-hour, no-sitting, no-sleeping dance marathon each February to celebrate our survivors, remember those we’ve lost, and take a stand--all in hopes of one day dancing in celebration of a cure. 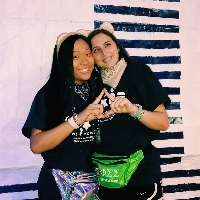 Phi Sigma Sigma is paired with the fraternity Alpha Gamma Rho and together we work to find new ways to raise money in order to find a cure for this terrible disease. We are a part of the Adopt a Family Program and are so lucky to have been matched with two amazing Four Diamonds families, The Hollisters and the Bertrams. 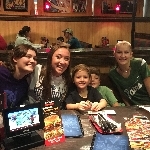 We are so lucky to have the opportunity to get to be so close with such an amazing family like the Hollisters! Reagan was diagnosed with B-cell lymphoma when she was 16 and has since completed treatment. She will attend college in the fall and we are so proud of her!! 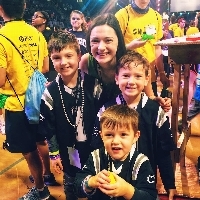 In high school Reagan was the senior leader of her high school's mini-THON, played on the field hockey team, and was awarded the Leukemia and Lymphoma Society's Student of the Year award for raising over $61,000 for cancer research! We have loved getting to know the Bertram family! Donovan is 7 years old and currently battling leukemia. He loves to play sports with his two younger brothers as well as with his new puppy! He also loves anything related to Star Wars and is really good at Rubix Cubes! We look forward to this year working together to find a cure for pediatric cancer! For the Hollisters. For the Bertrams. For the Kids.